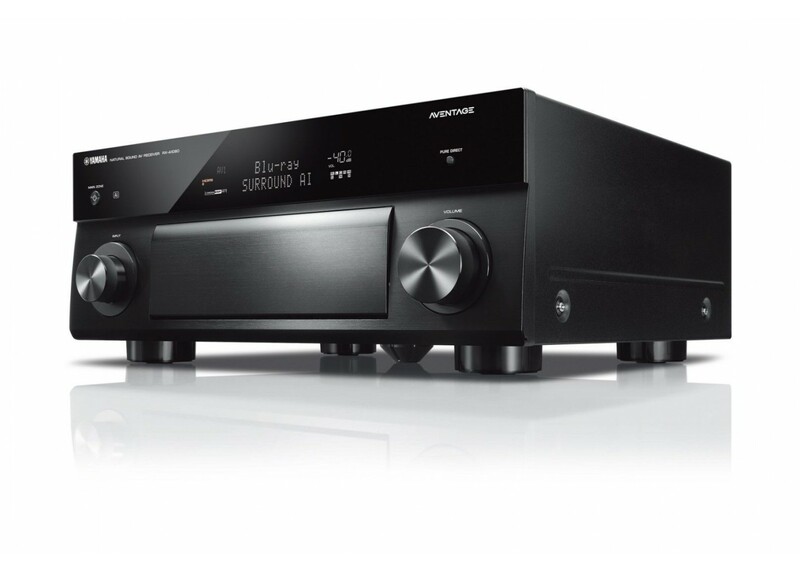 Yamaha AVENTAGE RX-A1080 7.2-ch 4K Ultra HD AV Receiver with HDR, Dolby Vision, Dolby Atmos, Wi-Fi, Phono, YPAO and MusicCast. Works with Alexa. More signal less noise. Incorporating a SABRE ES9007S Premier Audio DAC from ESS Technology to achieve an exceptionally good signal-to-noise ratio and up to 120 dB of dynamic range, this AV receiver produces professional quality digital audio. Add an external power amplifier (pre-main amplifier) to this AV receiver to improve and enhance the sound of your speakers. By using a power amplifier to drive the important front channel in home theater, this added power supports your system with an emphasis on sound quality. This output capability allows the receiver to have 2-channel sound to a second zone when powering a 5-channel setup in the main zone.